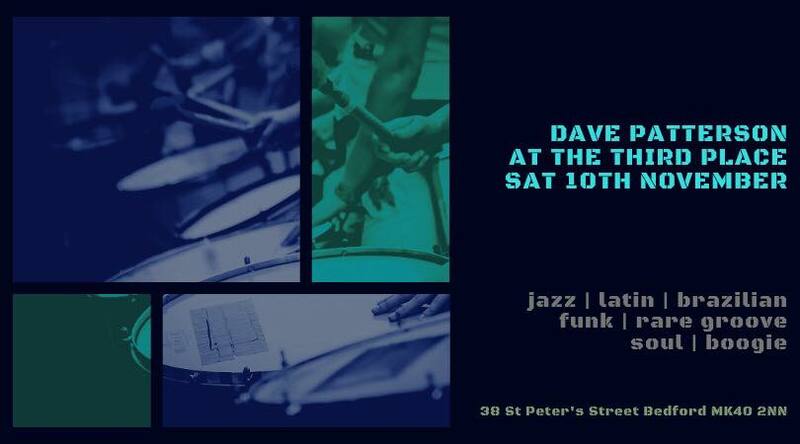 Dave started DJing and collecting records in 1987, inspired by the Rare Groove and Jazz Dance warehouse scenes of late 80's London, going on to land a residency with iconic DJ of the UK Jazz scene, Kev Beadle at groundbreaking club night “Sound Foundation” at Turnmills in the early 90s. After presenting a weekly show on a London Pirate Radio station, he got into producing his own music, eventually becoming signed by Mo' Wax Records, featuring on some of the label's early releases including the seminal “Headz” LP, doing remix work for Acid Jazz Records amongst others and becoming part of an early incarnation of the UNKLE line up. He also became resident DJ at the legendary Mo’ Wax sessions “Dusted” at The Blue Note, Hoxton alongside James Lavelle and Charlie Dark plus guests such as DJ Shadow, Carl Craig & DJ Krush. Patterson continued to produce and release music both solo and with his group Dark Circle, including the acclaimed LP "Civilians" on Jazz Fudge Records. Throughout this time Dave’s first love remained music based in Jazz and he continued to collect records, going on month-long crate digging trips throughout the USA each year as well as places as far flung as Hungary, Croatia, Slovenia and Germany in search of vinyl gems. His DJing style joins the dots between Soul, Brazilian, Folk, Funk, Latin, Rare Groove, Afro-Cuban & Boogie all with a Jazz undertone.